Welcome your guests to the warm and intimate ambiance of La Cavita, our private dining room & terrace. We offer pre-set menus to ensure the optimum dining experience. Cava features eclectic Latin cuisine from Spain, Mexico & Latin America. We are proud to serve only the freshest ingredients, locally sourced when possible. We are dedicated to purchasing Green-rated, sustainable seafood and only serve Organic, Grass-fed Beef and Free-range Chicken. The enclosed pre-set menus showcase some of our most popular dishes. These flexible menus offer a variety of choices to create a wonderful culinary experience your event. Once a menu is selected, a personalized “title” is offered for your menu. Up to 12 guests for Dinner inside at our grand dining table. Up to 32 guests for a sit down Dinner inside at our grand dining table and outside on two additional tables. French doors open to the beautifully landscaped terrace. Up to 40 guests for a Tapas/Appetizer party inside and outside on the terrace. Enclosed is our current Cocktails & Wine List. 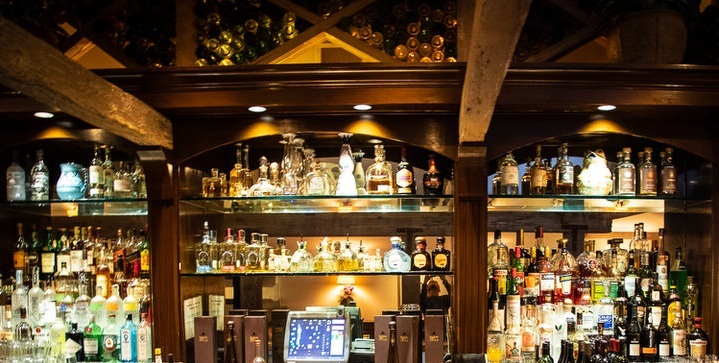 We would be happy to assist you with the selection of appropriate wines, hand-shaken Margaritas or Latin cocktails to enjoy with your event. We have a wide selection of wines from our Santa Barbara region as well as wines from Spain, Argentina and Chile. We only serve bottled sparkling or still water. A $500 deposit is required to book the room. Deposit is nonrefundable unless a cancellation is received in writing (via email or letter) 30 days prior to event. Payment is due at conclusion of event. The final attendance count must be received three working days prior to the event. If less than the specified number attends, you will still be charged for the original guaranteed number of guests. Sales tax (8.75%) and gratuity (20%) will be applied to all food and beverage services. CAVA is located in beautiful Montecito, California at 1212 Coast Village Road. We are easily accessible from Highway 101: Southbound from Santa Barbara at Coast Village Road/Hot Springs Road exit, Northbound from Ventura at Olive Mill Road exit.